I have never liked my eyebrows. 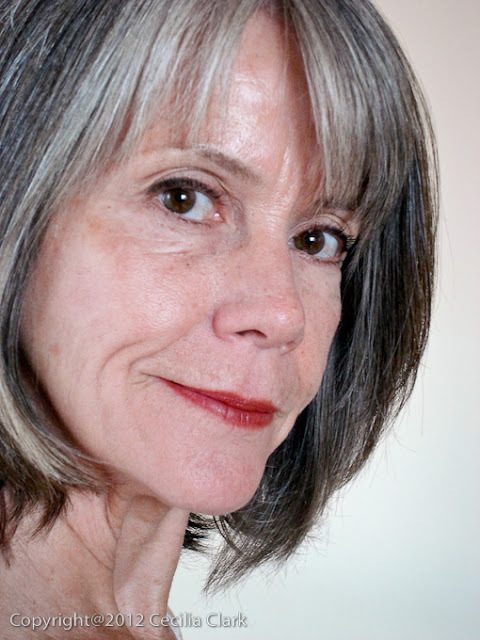 They are thin, unruly, and there are gaps along the brow line. One eyebrow is higher than the other; they are not even close to symmetrical. My solution has been to hide them behind my bangs. The eyebrow should begin above the inside corner of the eye and end on a 45 degree diagonal measured from the outside corner of the eye. I've tried eyebrow pencil, eyebrow powder to fill in the gaps, and gel to lock the stragglers in place. I just don't have enough raw material to work with. 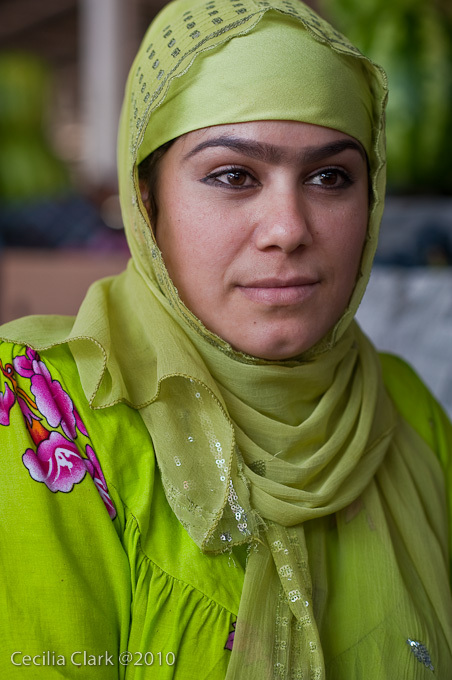 Photos of women with lovely, feather like brows that frame and draw attention to their eyes just remind me of my deficiencies. 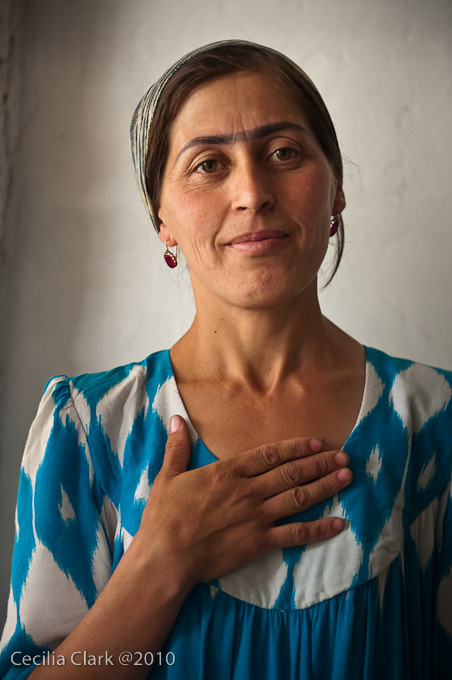 In Tajikistan, I my brow envy grew. Before a girl marries she is not supposed to tweeze her eyebrows as it is an indication of virginity. 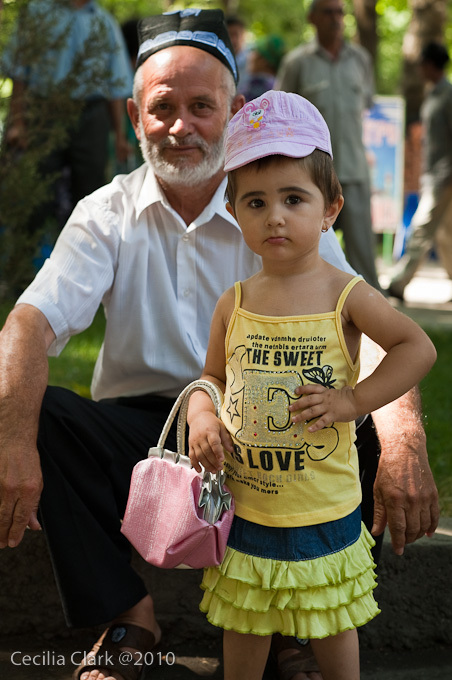 Like everywhere, young girls mimic their mothers and it is common to see small girls with enhanced eyebrows. 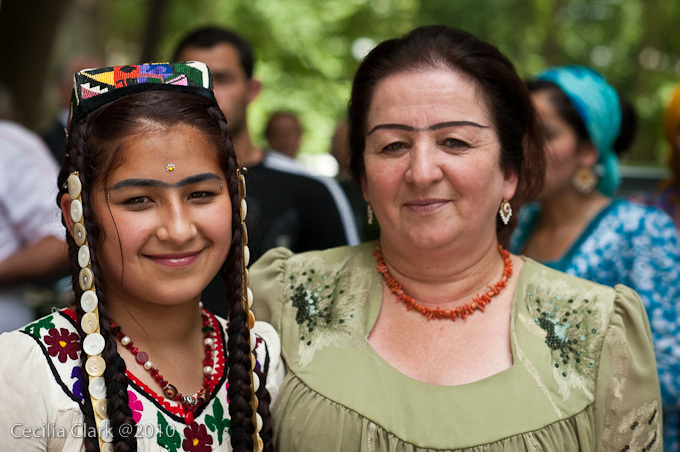 For long-time Dushanbe city dwellers, the unibrow tradition is fading, but those who have immigrated from country to city keep it alive. 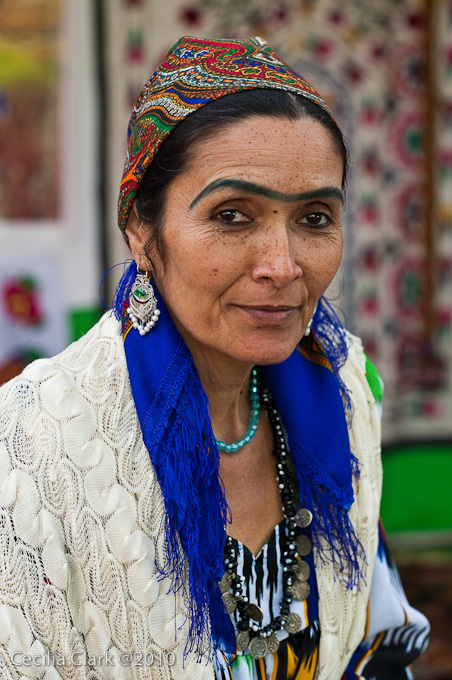 Once married and tweezed, or for those without the unibrow gene, many women fill in or paint in a unibrow line in the style of Frieda Khalo. The medium of choice to augment nature, blacken, condition, and create a unibrow is a green, leafy herb called usma. The usma leaves are dried in the sun then ground up to make a dark green, gooey paste. 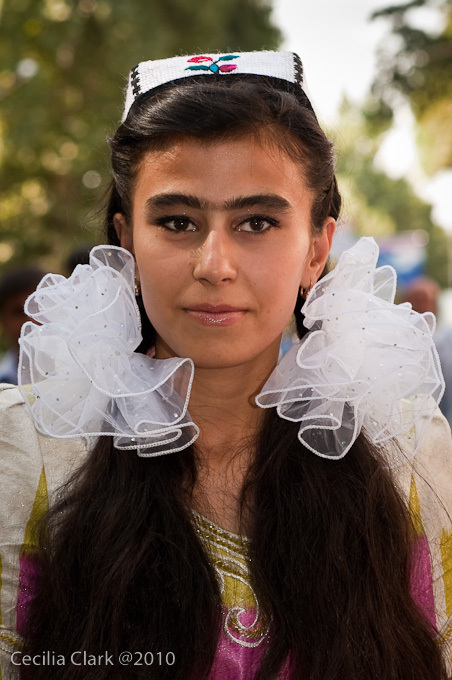 The usma paste is painted or smeared onto the eyebrows and the space between. The paste should be left on for at least 15 minutes and can be reapplied for additional darkening. "...favorite plants of oriental beauties - henna and usma. If the henna is widely known, then usma is terra incognita yet. ...., Usma compels hair to grow everywhere hair can grow, except palms and soles. Of course, it needs a lot of juice (for the scalp), but eyelashes and eyebrows will [be] thankful to you. Usma juice will make them long, strong, and black." Compared to all the things women everywhere do to camouflage aging and create the illusion of youth and beauty, usma is not so strange. Beauty is truly in the eye of the beholder and defined by culture. 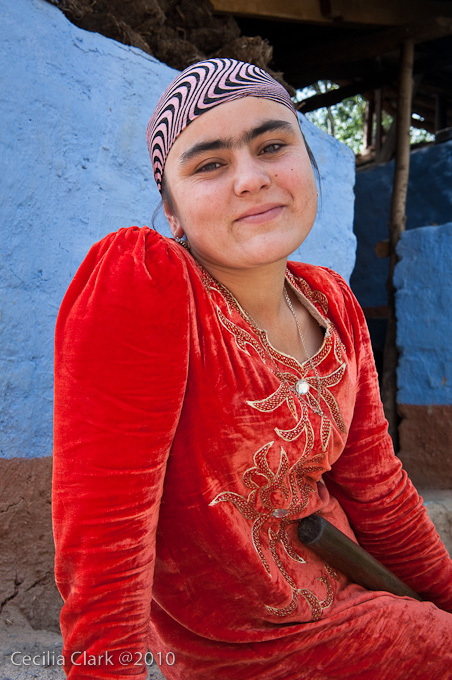 In Macedonia, I am surrounded by beautiful women of mostly Slavic descent who also sport bold brows. So, when I heard a few of my friends talking about visiting Studio Ameli in the Old Town to have their eyebrows shaped, I knew I had to do this. Today after our morning walk, Sandra and I stopped in at Studio Ameli to make an appointment for our eyebrows. The salon smelled of hot wax. 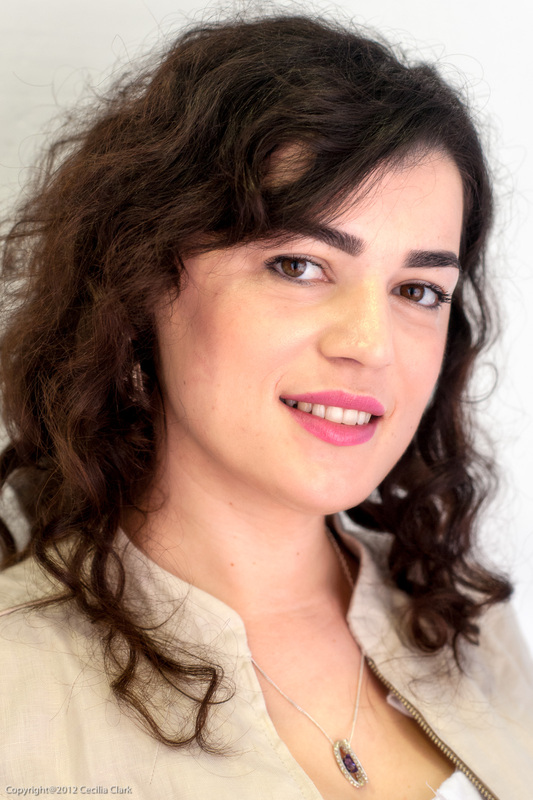 We met eyebrow expert, Ameli, who said she could take us right then. Ameli is young and gorgeous. Her brows are lush, dark and Frieda Khalo like without the unibrow. She proudly told me her eyebrows are completely natural. I submitted my brows to Ameli's schooled eye. She applied wax above the brow and ripped it off. She applied wax below the brow and ripped it off. That hurts! Then she used scissors to reduce the length of the brow hairs--I think similar to trimming a beard. 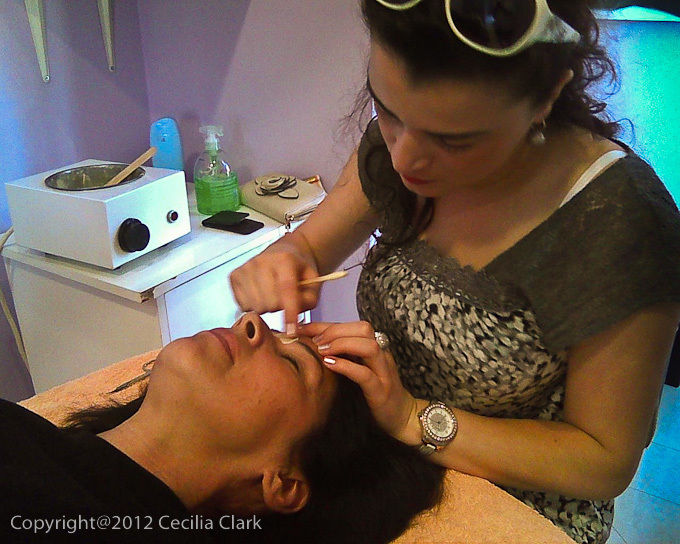 When she was finished with me, I had a more defined line but a much smaller eyebrow. Ameli told me that my face is small so my eyebrows should be small. So they are--small. Ameli told me to come back in three weeks--I'm still hoping for a miracle.